(JNS) – I do not know if Temple University professor Marc Lamont Hill adopted his extreme pro-“Palestine-as-Arab” position due to a deep delve into the history of Zionism, Arab nationalism, and complex political and diplomatic developments in the Middle East over the past century or more or simply because, as a self-defined progressive, he felt that must be part of his identity. Or maybe he reached out to the cause due to his own racial intersectionality. Whatever galvanized him, his speech at the United Nations not only lost him his CNN commentator’s contract, but highlighted the dangerous intellectual course that anti-Zionism has taken recently. In other words, Hill was well into a deep slide at that time – one displaying all of the hallmarks of ignorance, willingness to accept propaganda claims and self-righteous haughtiness. They neglected to include his “river to the sea” remark, which was the easy way for Jews-bereft-of-rationality to avoid the central essence of his thinking. As Hill knew, he was not attending a neutral forum of discussion but he was yet another actor castigating Israel, Zionism and the Jewish people’s right to national identity. This is the framework in which Hill spoke during that 393rd meeting of the U.N.’s Committee on the Inalienable Rights of the Palestinian People on Nov. 29 (interestingly enough, the U.N. Secretary General called for talks to support “intra-Palestinian reconciliation;” in other words, first Hamas and the PLO make peace before Israel can even contemplate continuing in negotiations). Let us now take advantage of Hill’s words and try to set the record straight for our attention should be devoted less about Hill himself (although this cross-fertilization process among progressive politics, fanatic Islam and simple Jew-hatred deserves its own analysis) and more about the actual content of what he spoke and the truth of his words and his insights. “Historic Palestine”, Hill, a Professor of Media Studies and Production, Media & Communication, a college unit sponsored by Lew Klein, a former broadcaster, and, yes, Jewish, should be instructed. No other people until the 20th century, except Jews, had a national identity with “Historic Palestine.” Arabs conquered and occupied it only in 638 C.E., and lost it quickly to Crusaders, Mongols, Mamelukes and Turks, and then the British. They never established a state or even an entity of geopolitical character. They insisted throughout the first two decades of the British Mandate over Palestine that they were Southern Syrians and that Palestine should be united with Syria. Moreover, that “Historic Palestine” includes Jordan founded in 1922 when the Mandate for Palestine was territorially limited, temporarily, as the language was “postpone or withhold application,” to the lands west of the Jordan River as per Article 25 of the League of Nations decision. What do we do with the king? Is Hill a monarchist? Would he want to leave Abdullah in charge of all the so-called “Palestinians” there? On May 3, 2017, Hill had tweeted: “Trump’s position on Israel/Palestine is repugnant. His call for Palestine to ‘reject hatred and terrorism’ is offensive & counterproductive.” So, nothing the Arabs of Palestine do is terrorism? Hill should know that “resistance” in the history of the Arabs of historic Palestine means one thing and one thing only: killing Jews. Violently. Thousands of Jews had been ethnically cleansed from their historic homeland in Judea and Samaria, and also Gaza, during the 1920-1948 period by Arabs. The “resistance” continued into the 1950s and 1960s by the fedayeen and then the PLO. Professor Hill needs be asked, by his students and his colleagues, if the PLO is the Palestine Liberation Organization – founded in 1964, before there was an Israeli occupation of Judea, Samaria and Gaza and before any “settlements” had been constructed – then why did that 1967 war break out? Was the reason the very existence of Israel? But Hill knows the answer since he wants no Jewish state. Hill has rolled down to rock-bottom anti-Zionism. 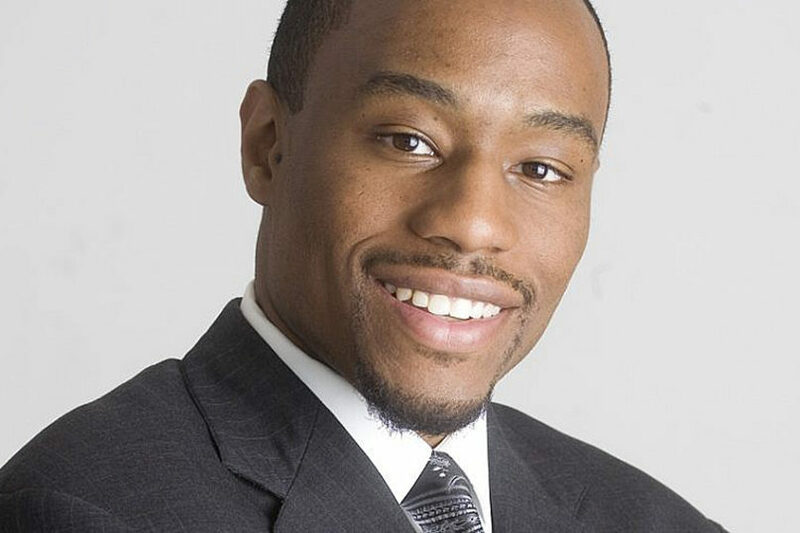 CAP: Temple University professor and CNN commentator Marc Lamont Hill. Credit: Wayne Riley/Wikimedia Commons. (JTA) – Political commentator Marc Lamont Hill has apologized for his use of a phrase associated with Palestinian extremists in a U.N. address discussing the plight of the Palestinians. Hill, a professor of media studies and urban education at Temple and a CNN commentator, called for “a free Palestine from the river to the sea” on Wednesday during an event held at the United Nations for the International Day of Solidarity with the Palestinian People. CNN announced the day after the remarks that it had fired Hill. In an op-ed published Saturday in Hill’s hometown newspaper, the Philadephia Inquirer, he said he was “stunned and saddened” by the charge that he was “advocating violence” – even though “Palestine from the river to the sea” is a political slogan used by Palestinians who reject compromise with Israel, including the terror group Hamas, which calls for the destruction of Israel. Israel’s government and many Jews regard the call for a single binational state as a euphemism for a political, if not violent, rejection of Jewish sovereignty. “Throughout my speech, I spoke explicitly about the need for Israeli political reform, specifically as it pertains to Arab citizens of Israel… I believed that these demands made in the speech sufficiently reflected my belief in radical change within Israel, not a desire for its destruction,” he wrote. “Clearly they did not. Hill also said that he has called for a rejection of antisemitism in any form.